Mary's husband bred and raised several species of parrots for 9 years. Here he explains the best practices for handling and caring for them. I interviewed my husband who has raised parrots for 9 years, which includes scarlet macaws, green wings, blue and gold macaws, African grays, three species of Amazon parrots, Hahn's macaws, and Moluccan, citron and crested cockatoos. These were hand-reared from day one out of the egg. My husband was also part owner of the oldest pet shop in England, and also owned two other pet shops. This gave him many years of experience with parrots, small cage birds, reptiles, tropical and cold water fish, and arachnids. Owning the pet shops gave him experience in husbandry, feeding, and containment, as well as diagnosing many of the common ailments that can befall domestically kept wildlife. He also took in unwanted macaws and parrots that people no longer could cope with or those which had been badly abused. Once settled, these were re-homed with other experienced breeders. 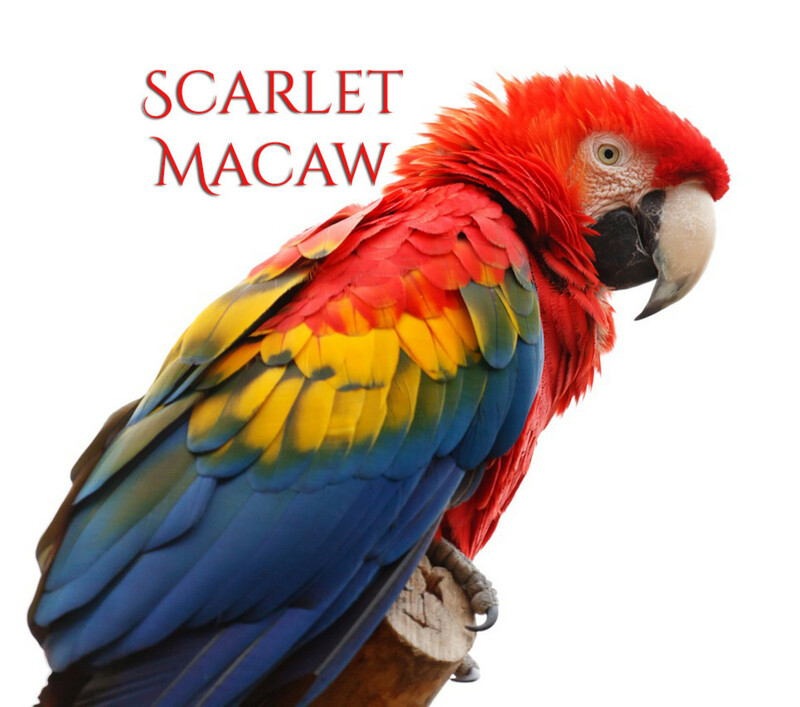 If you're ready to learn more about the beautiful scarlet macaw, let's get started. Should You Get a Pet Parrot? Q. Ian, in your opinion, do scarlet macaws make good pets? How Long Do Macaws Live? Q. I've heard these birds can live a long time, is that true? A. Yes, that's true, and it's something one needs to think about when deciding to own a macaw. A scarlet macaw can live to be 70+ years old and some are recorded as being over 100 years old. Now, you have to ask yourself, are you ready for that length of commitment? If this is a family bird, it will usually be left to someone in a will. With the potential for such a long lifespan, you can see why this is a decision that needs to be thought through. What Is the Best Food for Macaws? Q. Ian, since you were in the pet trade and also a breeder, what would you suggest as the best food for a scarlet macaw? Which Foods Are Bad for a Parrot? Q. Now, we know what to feed it, are there food which we shouldn't let it eat? A. Just because you eat it doesn't mean it is right for your macaw. Salty, fried, and sugary foods shouldn't be given to birds. For drinking, offer just water which is changed at least daily. I have seen people give their parrots, alcohol, tea, and coffee. The health of their bird suffers for this. Obesity is not just a problem in humans, it's also seen in birds. In the wild birds would have a concave chest. The vast majority of pet parrots are grossly overweight. What Type of Housing Is Best for My Bird? Q. Ian, what would you say is the best way to house a scarlet macaw? A. If you're going to keep your bird in a cage, it should be large enough for the bird to turn without hitting its tail feathers and to stretch its wings. Avoid wooden cages, although they look good, they aren't suitable as the bird would chew through it. Opt for thick, steel wire, with gaps of a maximum of an inch. The locking mechanism should be a bolt action that the bird can't open. The bird will often watch and will learn how to open it if this occurs, opt for a padlock. The perch inside should be about two inches in diameter, with slots in each end to fit into the cage bars. The perch should be secure and not loose or wobbly. 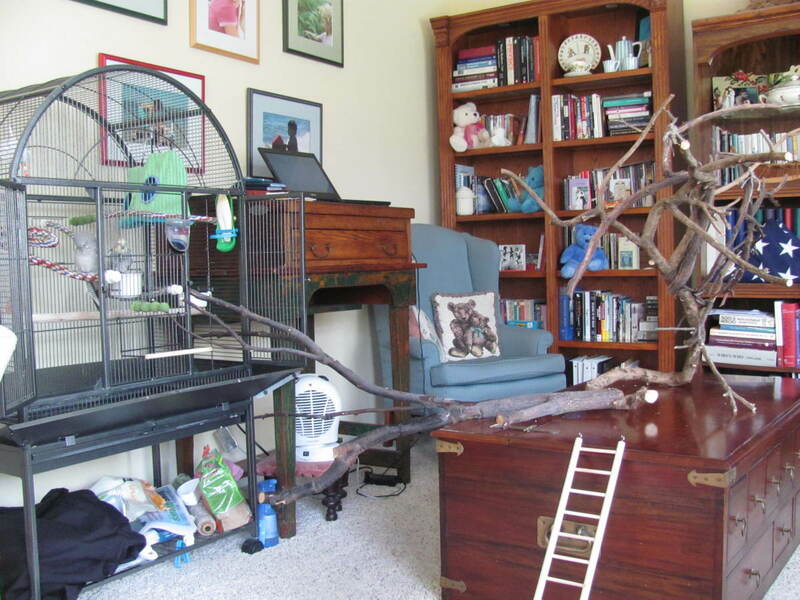 Place a couple extra pieces of wood in the cage for the bird to chew on. They must have wood to chew to keep their beaks trim. 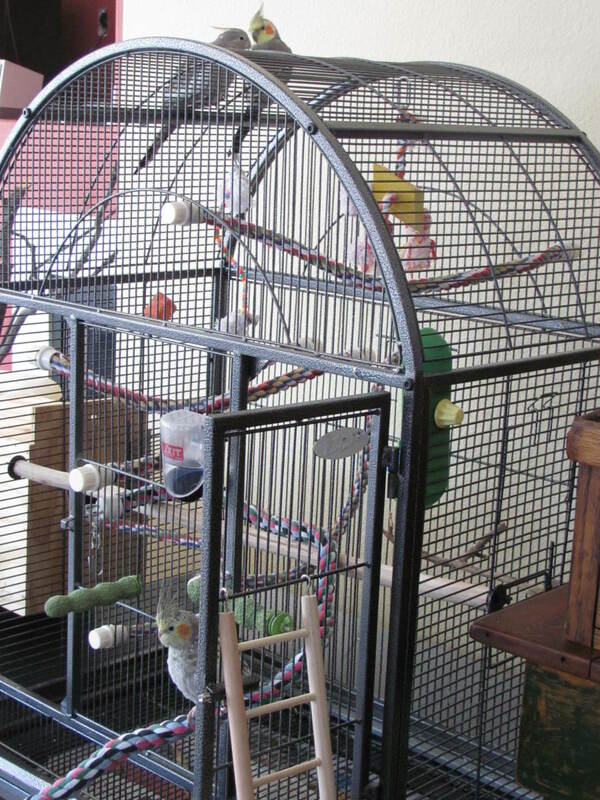 Placement of the cage should be a couple inches off the wall with no electrical cables that the bird could possibly reach. Sometimes, they flick food off their beaks, and this extra distance should keep it from any hitting the walls. The feeding bowls should be 4-inch stainless steel bowls attached with the holders they normally come with. As well as a cage, you can use a parrot stand. Be aware, you must trust your parrot. This should be done initially with the bird's wings clipped. Never chain the bird's leg to the perch as it could cause serious injury to the bird. Food at one end and water at the other. Unless your bird is perched trained it should be caged when you go out, as this could cause injury to the bird and destruction of your home. Again, the macaw needs wood to chew on. It is a good idea to remove the perch and replace it with another piece the same diameter. Dried but not rotten wood is best. Hardwood is preferable to a soft wood. In the area below the perch is a tray where you can put the paper to assist in the clean up of bird droppings and discarded food. It's best to change this every day to avoid any smells and flies. This is the type of stand Ian would suggest and also sold in his shop. The wood perch is the correct size, the tray is easy to clean. The loops underneath are ideal for ropes to keep your macaw entertained. Are Macaws Endangered in the Wild? Q. 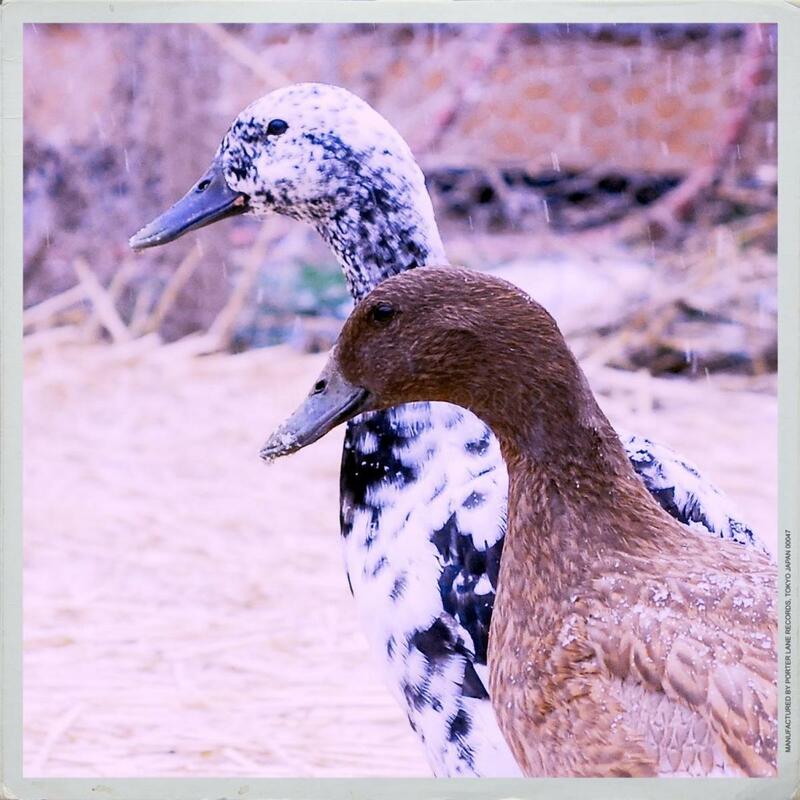 How do we know that we are buying a bird that isn't endangered? How do I make sure my bird is hand-reared by a reputable breeder? A. If you are offered a wild caught bird, it will usually show fear, aggression and possibly start screaming. A hand-reared bird may show apprehension and just sit and look at you. If the birds are caged, simply try and offer a piece of fruit and watch the bird's reaction. A hand-reared bird which has been accustom to people will likely take this from you. According to the ICUN Red List of Threatened Species¹, the scarlet macaw (Ara macao) is of least concern, although it is believed that numbers are decreasing in the wild. How Do I Introduce a Macaw to Children and Pets? Q. How should people introduce children and their pets to the scarlet macaw? A. As with any animal, young children shouldn't be allowed to be around the parrot alone. A parrot can seriously injure a child. If the bird was in the home before the arrival of the child, there could be jealousy issues. Start slowly, with constant supervision. Don't allow children or teens to tease the bird, ever. I have seen both dogs and cats get on with parrots. I have also seen a cat who had its face near the eye ripped opened when it got too close to the macaw. Generally, cats see the beak on a scarlet macaw and realize that the bird can cause injury and will, therefore, avoid it. Should I Buy a Macaw or an African Grey? I'm glad you enjoyed it, they are beautiful birds, but as you already know, a big commitment. I have always wanted to own one of these gorgeous birds. 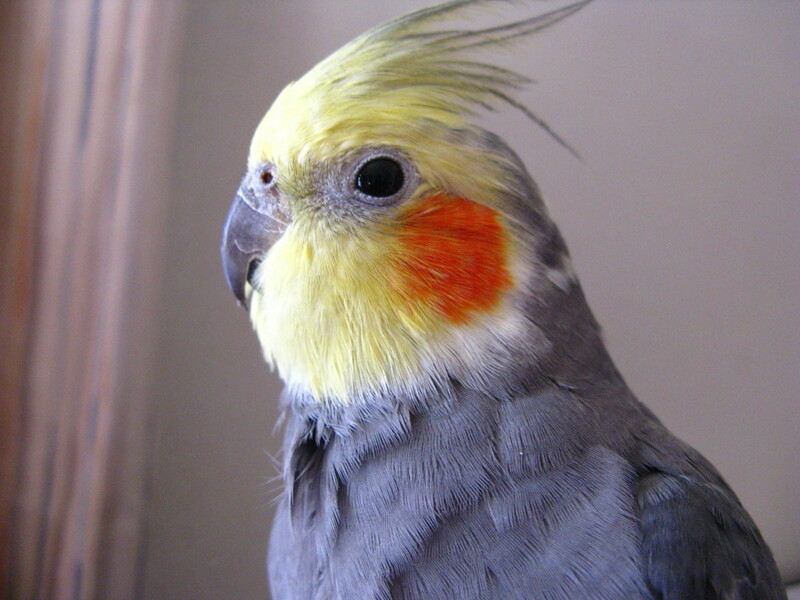 i raised cockatiels, and several other varieties of birds at one point in my life. but I don't own any presently. I enjoyed your very informative article. I do agree with you, Shauna but there are stands for people to use instead of cages. These are a much better alternative for those who keep birds in their home. They're so beautiful, Mary. These majestic birds (and all birds) should be allowed to live freely in their natural habitat, not sentenced to a cage. It's just not right, in my opinion. Although as pets, they can be brilliant, seeing them free flying is how they should be. During our time here in Brazil, I had a small free-flying cactus parakeet and it came and went as it pleased, only returning in the evening to its cage. It would ride on the front of my wheelbarrow, and when visitors came, it flew to my shoulder, I assume to protect me. When we move, we plan to travel so It is the same for us, we won't be having birds again. Thanks for reading, great to hear from you. That video of the Scarlet Macaws flying freely in Costa Rica was so beautiful. Reading about the care of this type of bird in captivity was interesting. It takes serious commitment and planning ahead to do it properly for the sake of the bird and any other pets or people around such a bird. That is not something that I would consider doing especially at my age. Thank you for your kind words. The scarlet macaws, like other parrots, do take a committed owner. It is a decision one should think carefully about, before deciding to purchase one. For example, when people go away on holidays, there are usually people who will care for dogs and cats but fewer people feel able to cope with a parrot. This is just one thing that needs to be considered. Thanks for reading, I'm glad you enjoyed it. Great informative article, about Scarlet Macaw. They are so beautiful, with lovely colours. It needs lot of hard work to look after pets, and one must be aware about the precautions involved. Your article is a great guide to those, who are planning to own these beautiful birds. Lovely presentation, thanks for sharing! Yes, you're right it does. Those who get them because they are an 'exotic pet' are not the best owners. It takes someone who is dedicated to them and their welfare. It takes a special type of person to raise these birds. Glad your husband is doing his part. That is a great idea to become a volunteer at a bird rescue center. Before my parents had kids, they had a chimp. It was my father who wanted one. When my mother retold the story, she used to shake her head, like "what was he thinking". My husband took in one macaw which had been beaten with wood. It had a crack in its beak from this. You can imagine it was traumatized. It took quite some time to build up trust with that bird, but after spending a lot of time with it, he accomplished it. This bird was rehomed with a breeder whose male had died and wanted another. After a bit of settling in, the two macaws bonded well. Normally birds bond for life, so it was a sucessful outcome for everyone. I have too much respect for their long lives and high maintenance to take on the responsibility. There are plenty of rescue facilities that provide volunteer opportunities for those who want contact with these beautiful birds. Anyone who can outlive you needs to be thought of in a will, whether cat, dog, child, or macaw. My mother was given a monkey as a childhood pet and it was just a sad situation. I’m so glad your husband was involved positively in rehoming birds who needed his help. TSAD I think you are right. Although we say we own a pet, that isn't the whole story. I use the same saying for parrots as I do for kids. I think it is finding an acceptable ground and not attempting to control but coexist with respect. That person was giving you good advice. In fact, no one likes to think of a pet they have cared for being sold or given to another owner. Circumstances change and often a large parrot can't be part of those plans. It sounds like you have found a happy medium where you can still enjoy them, although not through ownership. I'm glad you enjoyed the article. This is an informative article written in a reader friendly manner. I found the interview fun to read through. At one time in my life I was into keeping parrots and always wanted to have different types. 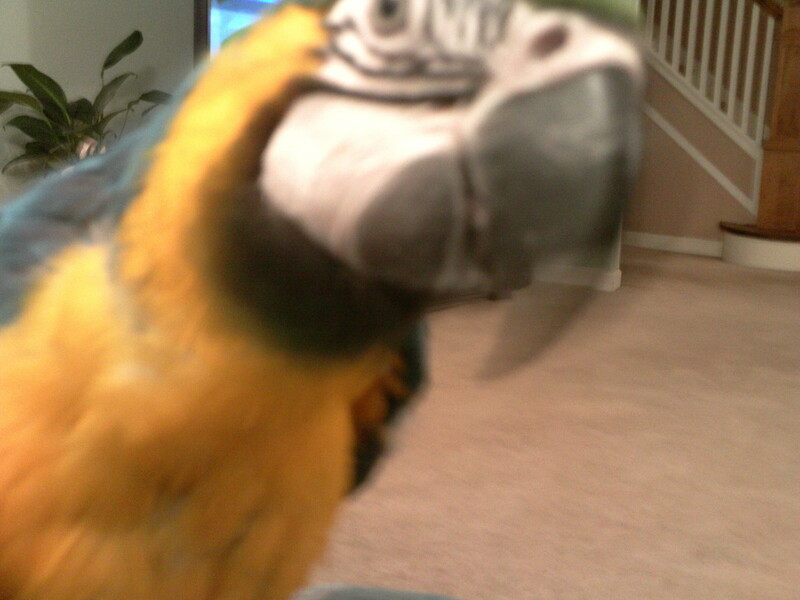 My friends used to make fun of me as I would go to pet shops and stare at all the parrots and Macaws for hours. But then a wise man advised that the only problem a human owner can face is their life span. 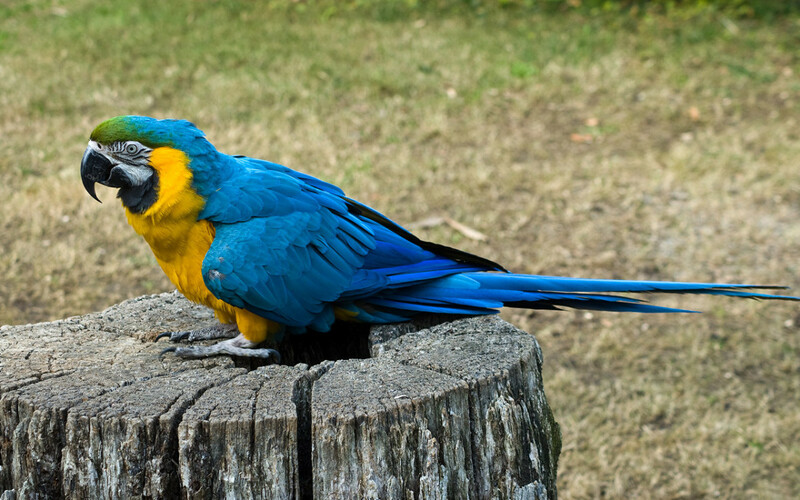 For example, a Macaw can outlive its owner. It is, therefore, not only a life time commitment, but a matter of including them in the 'will' too. All other problems can be easily addressed. I still love them and routinely visit zoos and bird centres to marvel at their beauty and take shots. It sounds like "A guide to being owned by s Scarlet McCaw"
Having been owned by several parrots myself, and currently an African grey I can attest to that concept. Not only do they dictate to you their daily needs, food and lodging as you have pointed out, they most likely will out live you! And don't dare disobey them or you will be severely punished. I don't think a McCaw can afford me :-). They are such a beautiful bird and can make wonderful pets, but it takes a lot of thought. They do live such a long time. 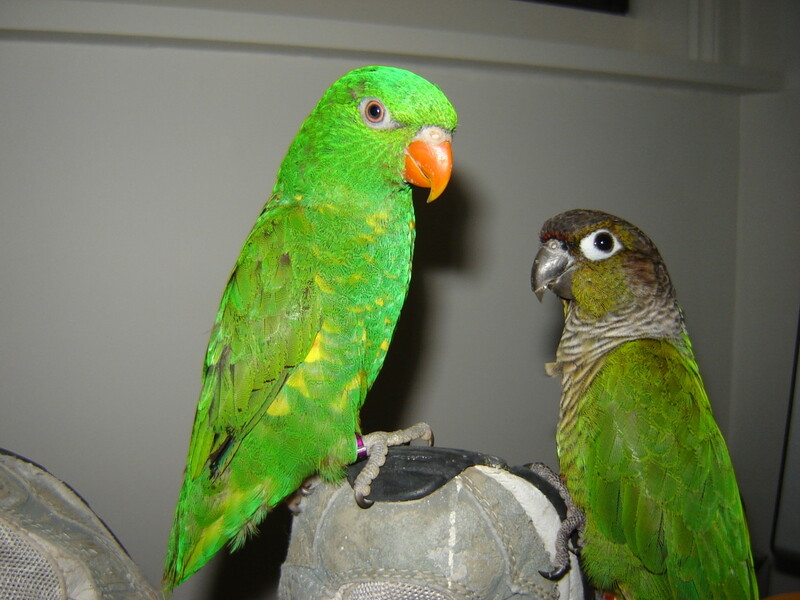 When we lived in the UK and moved to a smaller house from a farm, we had to rehome 4 parrots. We had taken them in when a couple we knew were getting divorced. The birds were easy to rehome as they had been well looked after and used to people. The people who bought them knew how to care for birds or we wouldn't have let them buy them. They all had individual personalities. Thanks for reading and your comment, Larry. I would say you have enough on your plate at the moment without adding a macaw to the mix. When my husband was rearing parrots, he never had a day off. As you know, animals can be enjoyable but are also hard work. What an amazing read, Mary. The Scarlet Macaw is such a beautiful bird. I love the coloring, red, yellow, blue, a tinge of orange, wow. I had no idea that they lived 70+ years. Your article answered some of my questions and it was such a pleasure to read. 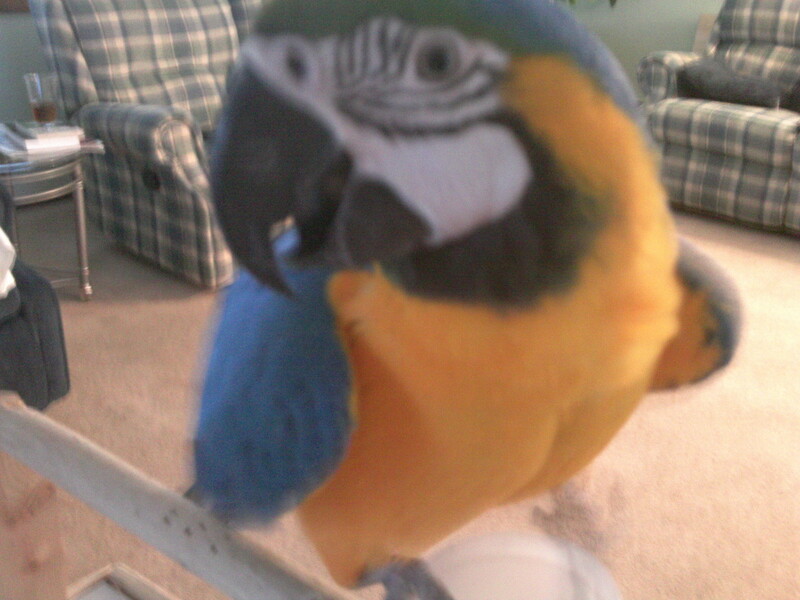 Truthfully, if I had the energy to take on another responsibility, I would consider raising a macaw. I think they are fascinating birds and it would be so enjoyable. Alas, I do not have the time or energy. Great interview of a man who obviously knows what he is talking about. wishing you a brilliant Wednesday!